Punk rock troubadour and impresario of din, Jay Reatard offers this full-length as a catch-up package for anyone who missed out on the six limited edition singles released on a monthly basis over the course of this year. Fortunately, it doesn't merely sound like a ragtag compilation or a series of disjointed odds and ends, but hangs together convincingly as an album. 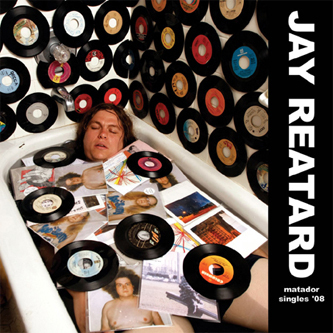 In terms of his approach to songwriting, Reatard is all but out there on his own - a veritable alchemist of DIY noise-pop, fusing raw Sonic Youth-influenced guitars with a real knack for crafting a chorus. There's a coarseness and authenticity to these songs, but the likes of 'Painted Shut' and 'See Saw' are inscrutably mellifluous too - not to mention nicely put together. You'll find a startlingly accurate re-reading of Deerhunter's 'Fluorescent Grey' on the album, which pays testimony to the kind of textured racket Reatard is capable of making as a one-man production line. Ace.